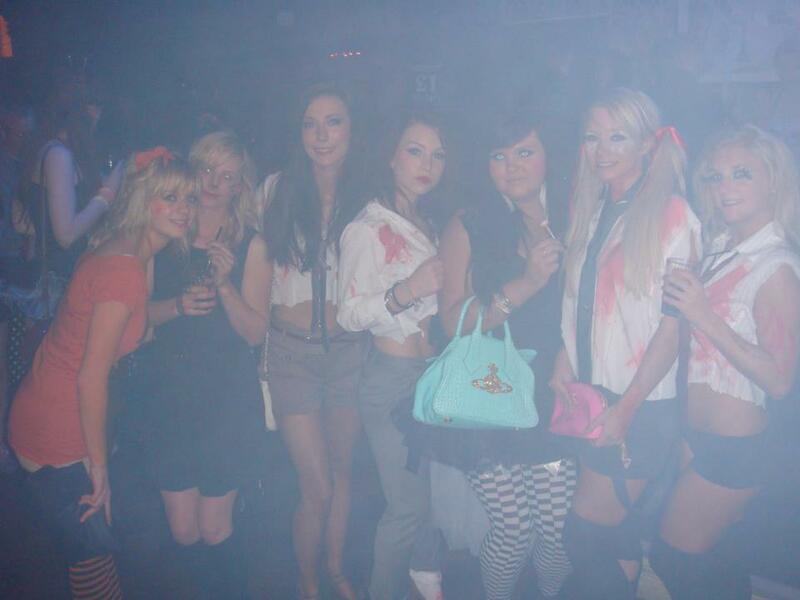 I usually hate dressing up, however I was quite excited as this year we decided to dress as zombie schoolgirls. So I teamed black hot pants and a ripped up white shirt with knee high black socks, back combed hair, fake blood and green eye make up. My favourite part of the outfit was my fake eyelashes which I picked up for a pound from Poundworld. They were all feathers, however I felt they were too much for my eyes so cut the ends off them and stuck them on the ends of my eyelids. Me (far right) and some spooky friends! Since getting back from Mallorca, I have been freezing cold and so I thought the time was right to buy some emergency winter clothes. Since I’ve not been paid yet, my first stop was Primark. I picked up a cream aran jumper (£14) and some beige knitted leggings (£10) to keep me cosy! I also had a £40 gift voucher for Ted Baker which I spent on a £55 fairisle baby blue scarf. 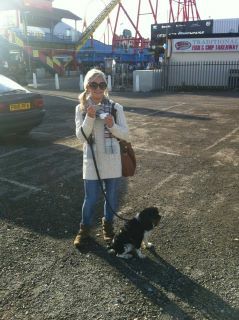 I wore my new jumper and scarf on a day trip to SkegVegas (Skegness) with my boyfriend. Teamed with Topshop Jamie skinny jeans, my favourite bag, a Mulberry Mitzy Hobo, not to mention, a few essential beach accessories – cute dog and whippy ice cream! Next on my winter wishlist is some black and white fairisle leggings, which I am finding completely impossible to find! Having checked in literally every shop in Meadowhall and exhausting all the websites I usually use, I am going to have to take my search further afield! I’ve also got a new dress on my wishlist. Seen on The Only Way is Essex’s Lydia Bright last night, it’s a mid length dull mustard coloured military style dress from Miss Selfridge and I am in love with it! Time to break out that Topshop card again! Lydia is fast becoming my new style icon!